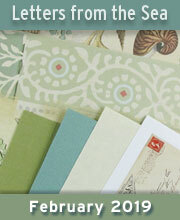 ﻿	Alpha Stamps News » Bagatelle Boxes! Plus Frames & Fairies FLASH SALE! Bagatelle Boxes! Plus Frames & Fairies FLASH SALE! Reminder: The Design Team Call closes tonight! 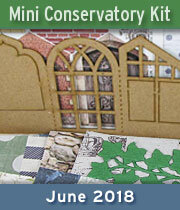 Note: you can apply as a paper crafter, collage artist, rubber stamper or miniaturist! Short story: deadline for submissions is January 31, 2019. Looking forward to seeing your artwork! I know… it’s cold. Some of you are hiding in your houses and wondering if the woolly mammoths will be running down the street soon. This may help a little. In addition to the flash sale on ALL Die-Cut Frames & Windows (inspired by Nichola’s artwork below — now 25% off! 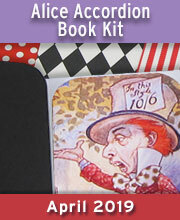 ), I’ve also put the Fairies Collage Sheets on sale — 50% off!! 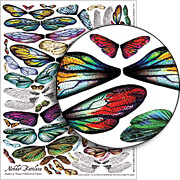 Instant color if you buy a digital collage sheet file! 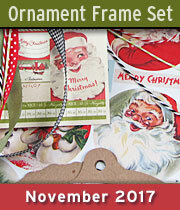 See the Frames & Fairies sale section for a big mixed-up group of them both! The sale ends at midnight TOMORROW night, February 1st. A few more highlights from the sale section are below (beside the Miniature Bookplates Die-Cut Set shown at right… back in stock, in Nichola’s artwork AND on sale)! Next up: Do you remember these lovely little Fairy Dust Bagatelle Boxes that Design Team Member Nichola Battilana made a few years ago? The boxes (all SIX of them!) are now back: Bagatelle Boxes! Teeny tiny! That’s what these boxes are! 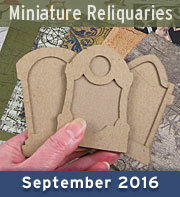 Cute as little shrines (like Nichola made) or you can stack them into your own configuration (there’s a photo with one option farther below in this post). 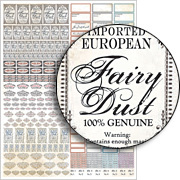 And all those cute “fairy dust” labels on the bottles are from Nichola’s Fairy Dust Collage Sheet! Psst: Part of the current flash sale! 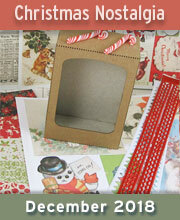 More info on her Fairy Dust Bagatelle Boxes is in this blog post, plus here’s her supply list. Note: check the Giveaway below for a photo showing a ton of little bottles that fit in the boxes. Highlights from the Frames & Fairies FLASH SALE! 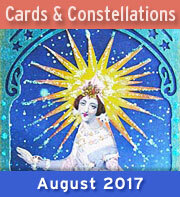 Click: FLASH SALE to see everything (99 items)! The secretary was inside Ghostmore Manor: part of Laura’s Haunted Village… the final installment of her fab Haunted Village Series from 2015. The printed top of that secretary (plus a zillion spooky trims from the project) are on the Ghostmore Manor Collage Sheet Set (or its digital companion: Ghostmore Manor Set Download). More info on Laura’s project is on this post, and quite a few items from the supply list are still available. Tiny Boxes & Bottles Giveaway! As promised, see below for photos of the boxes grouped together, and for a sampling of glass bottles that fit in the boxes (read on for which they are). To enter the Tiny Boxes & Bottles Giveaway drawing all you have to do is leave a comment BELOW on this blog post TODAY or TOMORROW (the deadline is 11:59 pm PST, Friday Night, February 1, 2019). 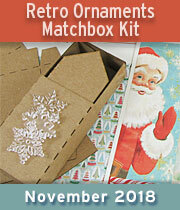 And what are you going to make with all those tiny boxes? 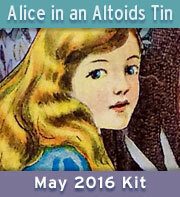 Hey, who won the Revisiting the Land of the Butterfly Queen Giveaway from Sunday’s newsletter? That would be Lynn Fox! Congrats! Check your email for info. With those tiny boxes, I would make a shadow box collage for my Kingdom Doll Savile’s Paris apartment. 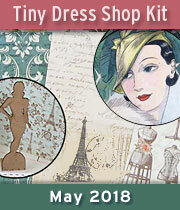 So many possibilities for celebrating her life in miniature! January 31st, 2019 at 7:54 am. This giveaway prize is perfect for me! I love little bottles, all things Fairy and boxes of any size or shape! 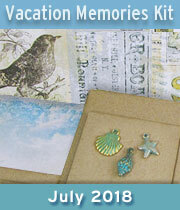 I would have so much fun creating with the assorted items included! I am giddy just thinking about it! I love Nichola’s creations and hope I win so I can make these with my own twist! TFS! January 31st, 2019 at 7:55 am. I love those little boxes that Nichola did! I remember those :) wonderful giveaway thanks for the chance to win. January 31st, 2019 at 7:56 am. That secretary is wow amazing! January 31st, 2019 at 7:57 am. This is darling! So many options for the bottles. Would love to win this one. January 31st, 2019 at 8:01 am. Love the secretary, it’s fabulous. Great job Laura, thanks for sharing. I’d love those little boxes, change the configuration for the seasons. January 31st, 2019 at 8:02 am. So million-many uses for boxes and bottles. Weeeeeee I’ll be putting little leprechauns in those wee little boxes for my grandbabies to find in the yard! January 31st, 2019 at 8:04 am. 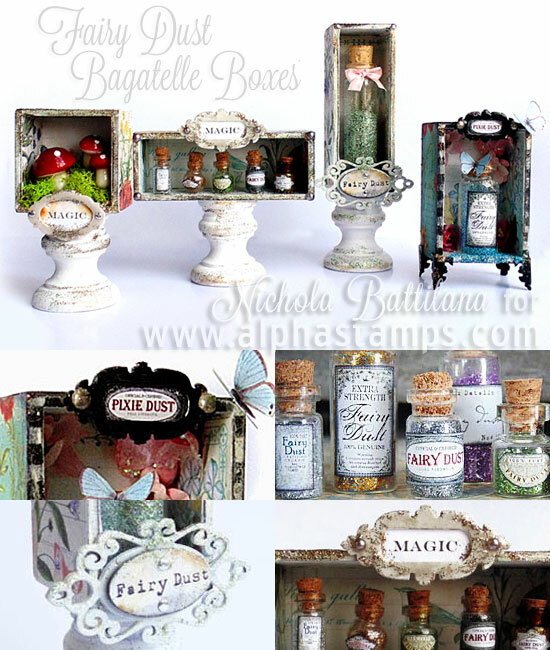 I would love to use the boxes and bottles to make a fairy apothecary similar to what Nichola did. January 31st, 2019 at 8:09 am. Oooohhhhh! More potion space for my Apothecary! January 31st, 2019 at 8:16 am. I love to come up with things to do with the tint boxes and bottles. Would love these. January 31st, 2019 at 8:17 am. Love this stuff. It would look great with my new project titled Oddities. January 31st, 2019 at 8:19 am. January 31st, 2019 at 8:25 am. I have a fondness for Egypt. I think I’d put powdered mummy in one of those cute little bottles. January 31st, 2019 at 8:26 am. January 31st, 2019 at 8:28 am. Laura’s secretary is amazing. I am always amazed to see what she can do with a flat sheet of paper to make it look like as if it is real. January 31st, 2019 at 8:29 am. I think I’d make something Halloween-ish with them ,or maybe something Spring-y. January 31st, 2019 at 8:31 am. All those boxes make a great shadowbox! 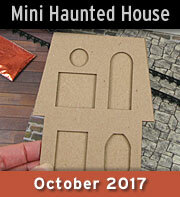 My Halloween miniatures would be perfect for that! January 31st, 2019 at 8:37 am. How can I resist tiny bottles?!?! January 31st, 2019 at 8:39 am. January 31st, 2019 at 8:52 am. In in awe of that secretary! All that detail is amazing! 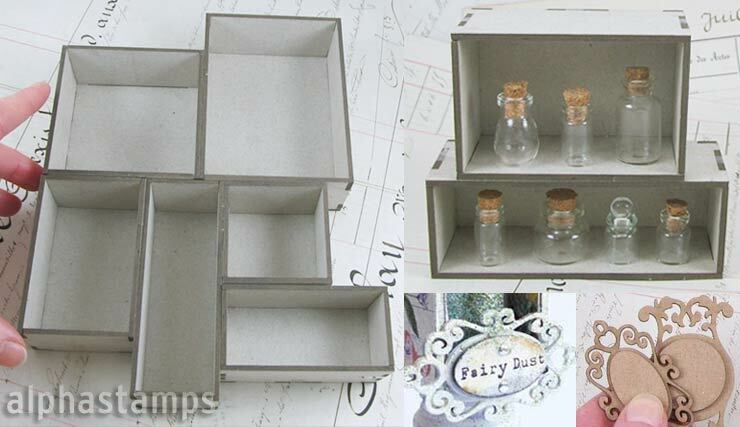 I would love to make a fantastastical springtime apothecary with the tiny boxes, bottles and fairy dust labels. January 31st, 2019 at 8:59 am. I absolutely love those boxes! Great giveaway! Such a creative project filled with wonderful details! Loving those tiny bottles! I have boxes of boxes, and need more. January 31st, 2019 at 9:04 am. I love the secretary made with the little boxes. 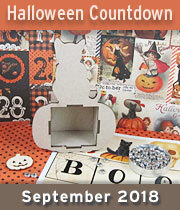 I would love to make something like that with a Halloween theme. January 31st, 2019 at 9:11 am. These are so cute. I can think of a bunch of ways to use them! January 31st, 2019 at 9:18 am. I’ll love all tiny boxes and bottles!! I’ll think it’s perfect for all saeasons! Thank’s for a chance to win this give away. January 31st, 2019 at 9:20 am. January 31st, 2019 at 9:25 am. 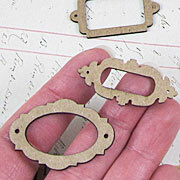 so cute……….think they would be neat place card holders at weddings, birthdays, etc. January 31st, 2019 at 9:37 am. I need a winter project! January 31st, 2019 at 9:51 am. All together or many separate ideas, these boxes and bottles have such potential. This is a wonderful giveaway, thanks. January 31st, 2019 at 10:04 am. January 31st, 2019 at 10:08 am. So adorable! I am thinking of a seaside tableau, with different vignettes. Love these ideas! January 31st, 2019 at 10:12 am. January 31st, 2019 at 10:22 am. I have altered jewelry gift boxes,but now I’m out so I could use the bagatelle boxes.nice job with the mini hutch! January 31st, 2019 at 10:26 am. Well, looks like a tiny fairy left a bottle of fairy dust for someone to write a sweet spring fairy tale. This is great. Thanks for the giveaway. January 31st, 2019 at 10:31 am. oh gosh these are all so adorable and I would probably copy what she did because they are so cute! January 31st, 2019 at 10:47 am. January 31st, 2019 at 10:50 am. Oh, the things I’d create! January 31st, 2019 at 11:11 am. I love the secretary and everyone loves fairy dust. January 31st, 2019 at 11:41 am. I adore fairies and sprites and Pixies! I really appreciate this offer to receive these wonderful gifts! 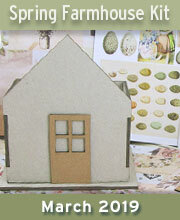 I would make something for year around for my home that would bring joy and laughter! The bottles and other things are just so enchanting! Valentines, Easter, Halloween and Christmas would probably be my focus! What a blessing to be given such a great assortment of beauties!!!! Thank you, thanks and wow! January 31st, 2019 at 11:43 am. I do, I do, I dooo believe in fairies!!! 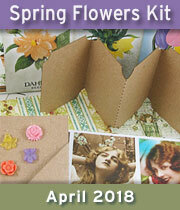 Love, adore and am amazed at the creativity, beauty and supplies! Thank you Alpha Stamps and creators! January 31st, 2019 at 12:05 pm. 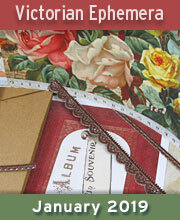 Love, adore and am amazed at the creativity, beauty and supplies! Thank you Alpha Stamps and creators! I want to make magical things! January 31st, 2019 at 12:06 pm. Lots of options with this grouping! thanks! January 31st, 2019 at 12:15 pm. Bottles and Boxes what a great idea for Pixie Dust display. I’m ready to create. January 31st, 2019 at 12:20 pm. I love those little bottles. I think I’d use them in dollhouse kitchen and bathroom. Could make bookcases with the boxes. January 31st, 2019 at 12:22 pm. January 31st, 2019 at 12:28 pm. Oooooo! Mini boxes and bottles! I love this giveaway. January 31st, 2019 at 12:29 pm. One can never have enough boxes and bottles. 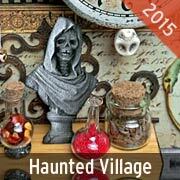 I loved Lauras haunted village and made 4 of the shops. The thrifty witch, the tavern,the resturant and the beauty shop. Such fun! January 31st, 2019 at 12:46 pm. I LOVE the new Bagatelle Boxes! I can’t wait to get some! January 31st, 2019 at 1:02 pm. I adore these tiny bottles. I have a fairy diorama that I would love to spruce up with some of these things. January 31st, 2019 at 1:03 pm. I love making apothecaries, so I would be thrilled to get more bottles. For the boxes I really like the shape made with all the boxes. So a collage, maybe with an apothecary theme. January 31st, 2019 at 1:19 pm. Oh my goodness. I just love the bottles and boxes. My mind is racing with all these ideas for them. Thank you so much for such a great giveaway! January 31st, 2019 at 1:46 pm. 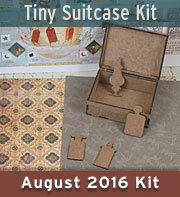 I love these little boxes- what fun it would be to fill them up with all the awesome new miniatures!!!! January 31st, 2019 at 2:20 pm. January 31st, 2019 at 2:39 pm. So much could be done with those tiny boxes . January 31st, 2019 at 2:41 pm. Oh what a fun giveaway. I am just starting to spread my wings into using tins and small boxes and making shrines and ornaments. This would be fun to make them with these goodies. January 31st, 2019 at 3:35 pm. I can think of so many projects for these boxes! January 31st, 2019 at 4:03 pm. January 31st, 2019 at 4:35 pm. I would sure like this wonderful collection ! January 31st, 2019 at 5:14 pm. I’d make fairy gardens in the shadow boxes. January 31st, 2019 at 6:11 pm. Wow, great giveaway! I love the little boxes and little bottles. Silly statement, I love all things mini…..! January 31st, 2019 at 6:15 pm. January 31st, 2019 at 6:25 pm. I would make an Apothecary Fairy scene, making love potions for Valentine’s Day! January 31st, 2019 at 6:26 pm. January 31st, 2019 at 6:53 pm. Yes! I am so happy that the bagatelle boxes are back! 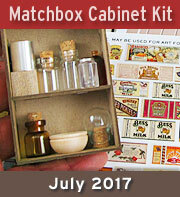 I would make nature themed shadow boxes, and use the bottles as miniature candy jars, or witch’s potions jars. January 31st, 2019 at 7:41 pm. Love the mini bottles, Valentine vinette! January 31st, 2019 at 7:46 pm. Oooh! So many possibilities. Maybe a secret fairy potion box tucked away under a tree and covered in moss, or maybe a witches jumbled stockroom with precariously perched boxes piled high. January 31st, 2019 at 8:43 pm. January 31st, 2019 at 9:09 pm. use some of these great ideas. Thaks for the inspiration. January 31st, 2019 at 9:36 pm. February 1st, 2019 at 12:51 am. I’d love to try making some shrines with the boxes. February 1st, 2019 at 12:58 am. February 1st, 2019 at 2:55 am. These little boxes are so cool! And I love the secretary- very spooky! February 1st, 2019 at 3:13 am. Merry Umbilical! Tiny boxes make perfect fairy homes! February 1st, 2019 at 6:28 am. So many possibilities for these boxes! February 1st, 2019 at 8:47 am. I’ll think of something! Maybe seed beads. February 1st, 2019 at 9:36 am. Love the teeny tiny boxes and that awesome secretary! Great projects! February 1st, 2019 at 11:02 am. 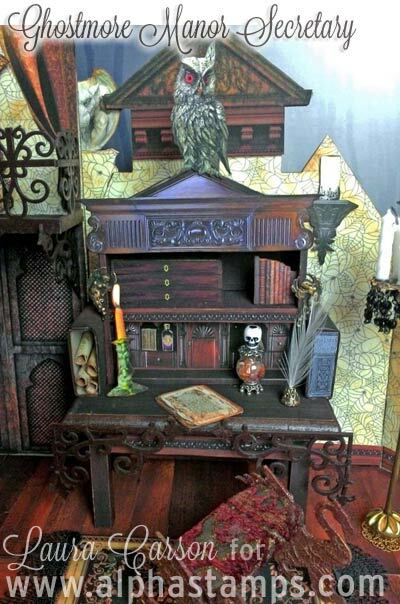 Absolutley love any and all things miniature! February 1st, 2019 at 11:27 am. February 1st, 2019 at 11:46 am. I love the secretary! I’d try that. February 1st, 2019 at 12:15 pm. Who doesn’t need and love little boxes! February 1st, 2019 at 8:25 pm.